Inspired by the graceful curves of the beach, the Shoreline Padded Sling High Back Dining Chair boasts graceful arm supports and a sturdy well-crafted aluminum frame, which offers durability and ergonomic support. The ergonomically designed high back of the dining chair adds another level of comfort to any outdoor dining experience. The Shoreline Padded Sling Dining Chair features designer fabrics with padding for full-body comfort. 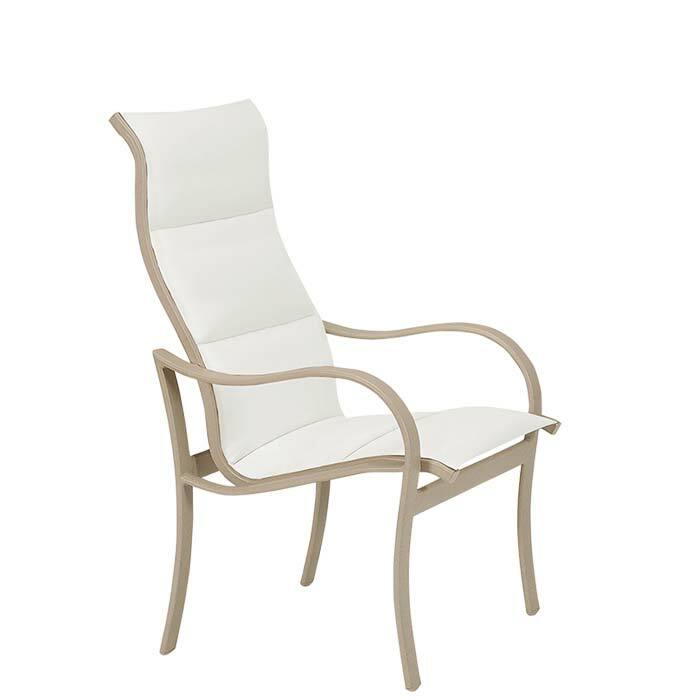 Pair this classic outdoor patio chair with a Tropitone® Dining Table for your own private seaside escape.